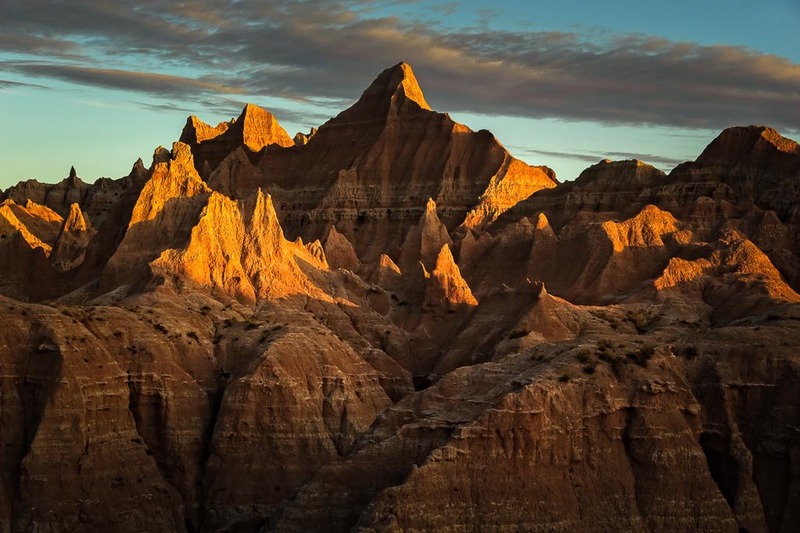 Badlands National Park has been on my must visit list for quite a long time. When we planned out our cross-country trip, I knew that I would finally get there. There are two main entrances to the park and I decided to stay near the northeast entrance, as my research indicated that there were numerous sunrise and sunset locations in that part of the park. The choice proved to be the right one. The challenge then became to pick two sunrise locations out of the almost ten possibilities. Fortunately, both locations turned out to be stellar. This photo was taken from an overlook just around the corner from Norbeck Pass and was taken on the second morning. The jagged peaks that are part of the pass were a great subject, particularly in the early morning light. The shadows added terrific definition to the photo. The diversity of the park's landscape makes it a must visit park. After one visit, it has become one of my favorite parks and I definitely think a return trip is in order.